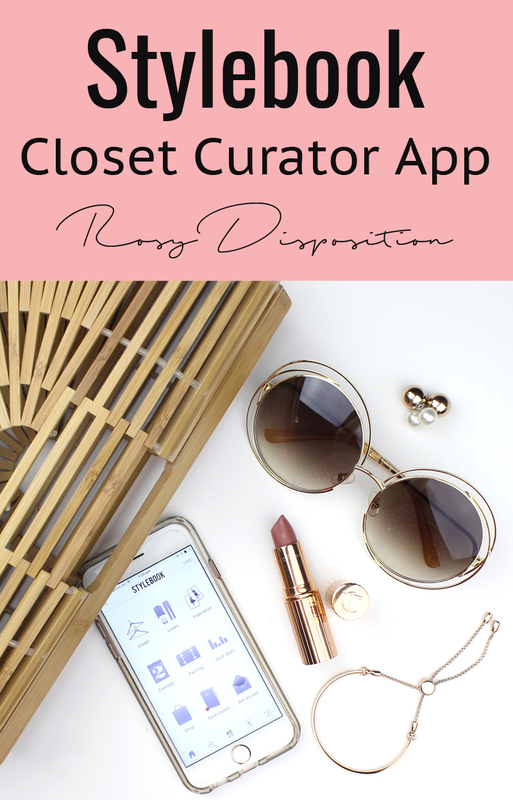 I recently discovered this amazing that app that has really been helping me to more carefully curate my wardrobe and think more critically about the pieces I have and the pieces I want to invest in. 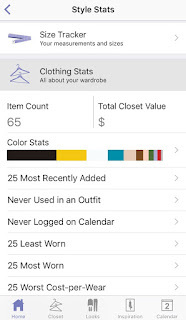 I actually went looking for a way to track the cost per wear of my wardrobe items and I ended up finding a really handy app that does so much more! Like I said, I went looking for this app and was pleasantly surprised; this isn't at all sponsored, I just wanted to share my find with you in the hopes that it might help you to curate your wardrobe too. 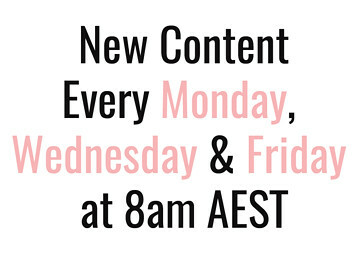 Inspiration: keep a sorted image base of all your favourite fashion inspiration from bloggers, celebrities, etc. 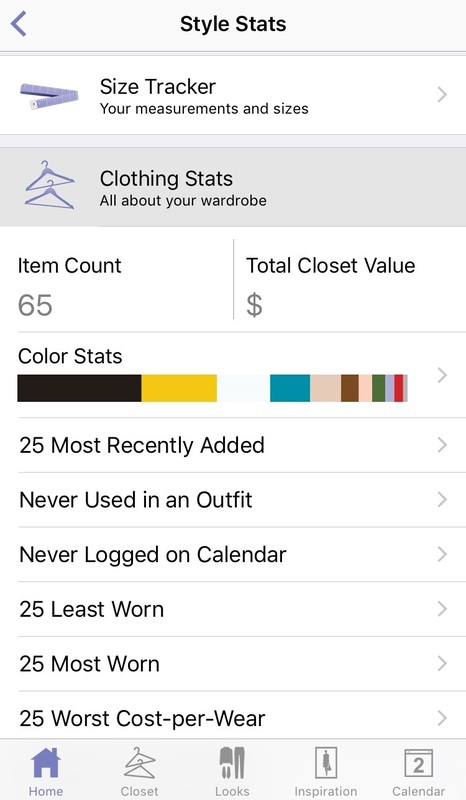 Calendar: where you can log the items you wear everyday to track cost per wear and most worn pieces. To save time, you can easily add one of your saved looks instead of putting in each individual piece. Packing: create custom packing lists by adding individual items or importing the prepared looks. It even generates a packing list so you can tick each item off as you put it in your suitcase. Style Stats: this is where the magic happens. You can track the number of items in your closet, their value, the colour profile of you wardrobe, as well as all the things you are wear most and the things that aren't pulling their weight in your wardrobe. This is where you can see the 25 best and worst cost-per-wear pieces. You can also see the individual cost per wear of each peice in the closet section. The one stat that scared me a bit was the total wardrobe value because it shows just how much we spend on clothes. But if you think of your wardrobe as an investment, you may really like seeing it boiled down to a firm number. I have been using this app for the last 3 or so weeks which has given me time to test it out and really discover the ins and outs of it. This is definitely an app that takes a little while to set up, but once you do it is so incredibly useful. 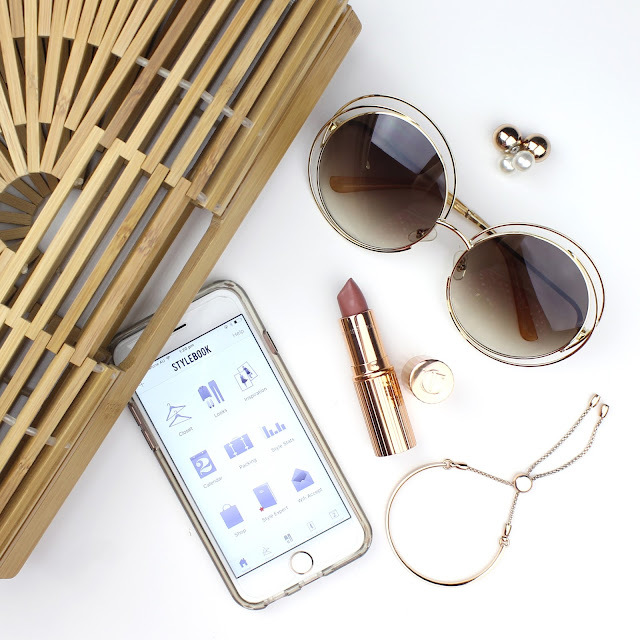 Allows you to see exactly what you have in your closet and sort everything into the customised categories you create. You can visually create looks and outfits with what you have that can sit in various sorted folders, ready and waiting for those awful mornings when you feel like you have nothing to wear. It makes you think more carefully about exactly what is in your wardrobe and if it is pulling its weight. You can see where you are spending your money wisely, with good cost per wear, and where you might be wasting money on impulse purchases and things you never wear. After all, it's better to spend $200+ on an item you wear to death, than $30 on something you never even wear and end up donating 2 years later. Because inputting each item takes a while, it made me really purge stuff I don't wear in my closet. If I don't think I'm ever going to wear it again, it isn't worth spending the few minutes putting it in the app and letting it take up valuable room in my small wardrobe. You can see where you need to invest your money. For example, right now I have one pair of flats and I wear them with almost every outfit so it makes the most sense to buy some more. Additionally, I have a closet that is literally half black. It is a great look for winter but I know I am going to need to focus on collecting some soft neutrals for the upcoming summer months. The cost-per-wear and look creation functions are my absolute favourite and have really changed the way I think about my wardrobe. It isn't free; it costs $5.99. I know this might annoy some people but I am happy to pay for a great quality product that does what I need and helps me out. It is important to remember that quality products, even if they are virtual, cost money to produce and I am always happy to pay for good work. I think it is fantastic for the price! It does take a really long time to gradually input every item of clothing in your wardrobe into the app which is kind of unavoidable. The app is designed to make this process as streamlined as possible but it is going to be a lengthy process. I was really detailed because I wanted an accurate record of the style names, prices, colours, brands, etc. It really takes a lot of effort but I did it gradually and got most things in there. It doesn't look as great when you take your own photos but that isn't really the app's fault. As much as I could, I used stock photos which made my whole wardrobe look so much better in the app. If you can, use the best lighting possible and carefully iron and lay things out or hang them up to photograph. The nicer your photos, the more you will want to play with the looks function. It won't let you delete items if you are using them in a look. This could be annoying if you get rid of an item from your wardrobe because you would have to go through and delete it from every look you have used it in. It would be great if they revised the app so the deleted item just disappeared from any look you used it in so save all that fussing around. As you can probably tell, I'm really a huge fan of this app. I have already been using it heaps and plan to do so a lot more in the future. It is actually surprisingly easy to find the time to quickly pop in your daily outfit and track wear stats if you make a conscious effort to remember. Basically, the app is very user friendly and does exactly what it is designed to do and does it well! Have you heard of Stylebook already or tried it out? Will you be checking it out after reading this review? I would love to know so leave a comment down below. Also let me know what your smartest wardrobe tip because I am really focusing more on my closet at the moment so I'd love to share in your wisdom. 40 comments on "Stylebook App: Closet Curator"
This is such a good idea! I'm actually really keen to try this myself since I always find it hard to picture which clothes go with which. Thanks for the tip! Yes I totally understand what you mean. Being able to create the looks is so handy. Such a cool app! I'd be interested in using this as I am trying to cut down my wardrobe and get the most out of my outfits, this would be super handy! Thanks Emma! I love this app! I first bought it three years ago when I started interning/working full time and I wanted to make sure I wasn't just wearing the same outfit every single week. I have been a bit slack with it, because the lighting in my house isn't the best, but it's a fantastic little tool to have on the go if you are out shopping as well! Yeah it is definitely the kind of app you need to make an effort with it but it is totally worth it. Sounds like such a good little tool, kinda like Cher's desktop application from Clueless!! haha I might have to give it a go!! Omg it is so long since I watched that movie. It totally is though. Its sounds like a really cool app! I've been really thinking about all my purchases and I feel an app like this would totally help! It really does! It has already helped me purged some stuff I wasn't wearing and strategically fill some wardrobe gaps. Right?!?! It is so clever and well thought out. I hadn't heard of this app but I think it would come in so handy! It would surely stop me buying the same type of thing over and over and get a different piece that I actually need! It definitely has for me! I was making so many buying mistakes. This is such an interesting app idea! Reminds me of Cher's outfit creating program in Clueless haha :P I don't think my closet is big enough to warrant getting this though haha. I'm usually pretty good at visualising and putting together outfits in my head! Haha Melissa said the exact same thing. Mine isn't very big at all either but I still love it. If you are a really visual person I could see how it maybe wouldn't be as necessary. Wow! This app sounds incredible! I love that it tells you cost per wear, although that is information I don't think I want to know hehe :) I will have to check it out! I know! It is pretty scary when you start thinking in cost per wear but it has helped me justify investing in more expensive pieces I know I will wear a ton, and avoid impulse buys I know I won't. Sounds like such a great idea! Makes me think of the movie Clueless, I always wish I could do this with my wardrobe! It's a shame that adding images of your items into the app is hard, but totally unavoidable because everyone owns so many different things! 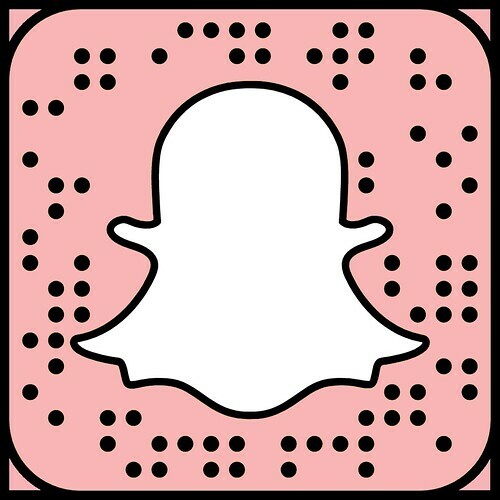 Would be cool to connect it to retailers and add the exact products to your wardrobe! The information you get from this app sounds so useful especially if you are thinking of doing a revamp of your whole wardrobe but I don't I could be bothered entering my whole wardrobe into the app! That is exactly what I thought. I have neglected my wardrobe for a long time so now it is time to invest and it has really been helping. I totally get what you are saying about the hassle of inputting though. I think I've heard of this app before through another blogger (Bows & Pleats). It is a really cool idea! Not sure if I'll take it up, but I'm doing a style cost challenge on all new items I buy this year & it's been fascinating watching that progress. It's made me determined to get full use out of my new items (as well as tracking my spending) & it's also helped plug some gaps in my wardrobe because I'm focusing on the items I truly want/need rather than buying stuff I don't really need (although some of those gaps still need filling). It sounds like you are doing a lot of what the app does. Maybe if you really like it and want to continue it might be worth switching over to the app to track things easier. Sounds like a cool app, i haven't used any app like this before, need to check this out. Yeah it is pretty unique. You really should check it out. You really do. It is great! This app would be amazing for you then. I have to admit, I love building my outfits in advance on the looks function. Let me know how you go with it! I am sure you will love it after you get past the big input process haha. This is such a great idea.. But i seriously wouldnt even know where to start! That's such a clever idea! I want to try it! thanks for the discovery! !